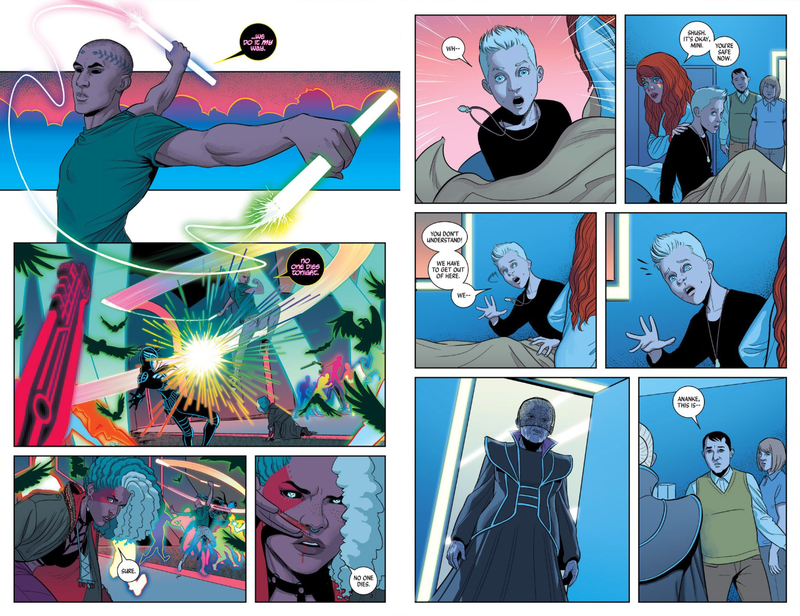 The comics that Kieron Gillen and Jamie McKelvie have done as a tandem have featured characters channelling a love for creativity, blasting away orthodoxies, and evolving into frighteningly powerful personas. When they talk about their working relationship, it sounds—no surprise—just like being in a band. 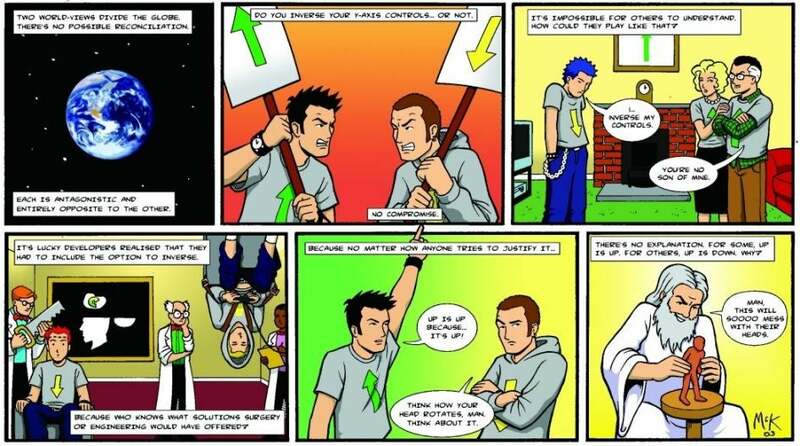 The most fascinating thing about comics creation happens when different creative personalities fuse together. The medium has a long history of creators like Frank Miller, John Byrne, Ronald Wimberly, Chip Zdarsky, and Jason Latour who handle both writing and art on a project. But, with the speed required for serialised releases, that kind of execution has been a relative rarity. The norm is separate individuals teaming up. Long-term partnerships are another relative rarity in comics and, as I think more and more about the alchemy of comics-making, I wanted to start talking to creators who worked with each other a lot. 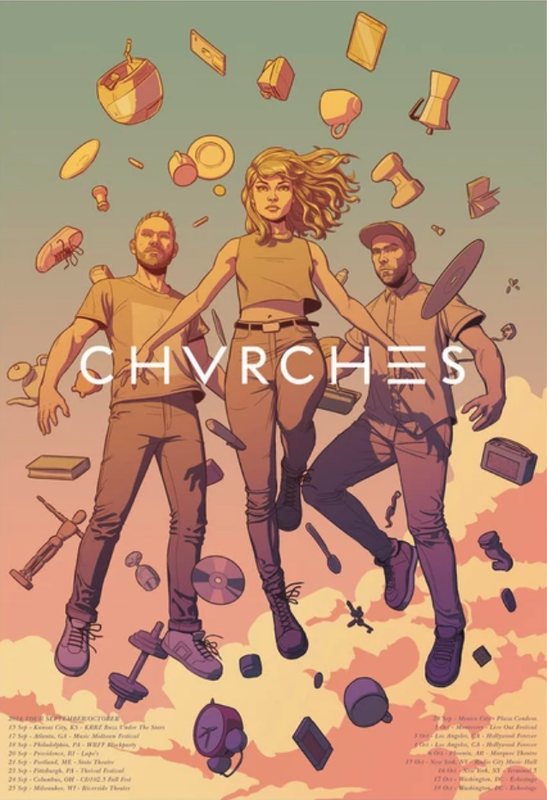 I’m envisioning this endeavour as a sort of miniseries-within-a-series called “Duo Dynamics,” and am pleased to kick things off with Kieron Gillen and Jamie McKelvie. 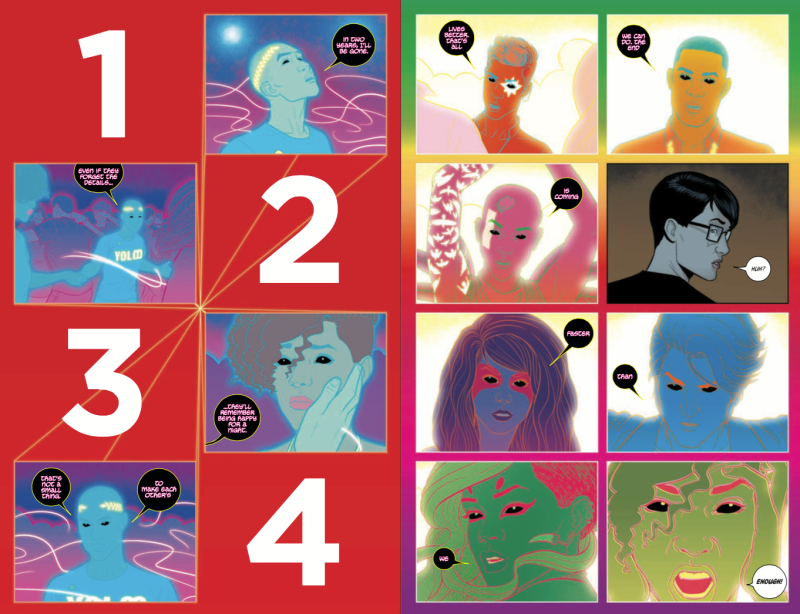 For those who may not know their CVs, Gillen and McKelvie have worked together on the Phonogram trilogy, Young Avengers, and their award-winning, creator-owned series The Wicked + the Divine. In the lightly edited and condensed interview that follows, the pair talk about how they designed their renowned pages, what the other guy brings to the table and which one of them is the old. How did you two meet? When did you first become aware of each other’s work? How did you guys decide on your first collaboration? 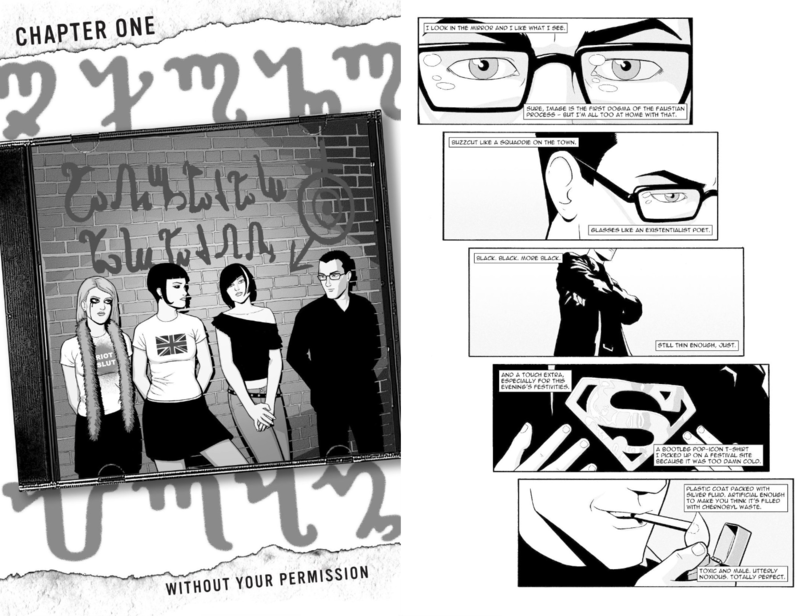 Phonogram: Rue Britannia is your first work together, right? To what extent have you guys become aware of recurring themes in your projects together over the years? I’m thinking of how Wiccan becoming the Demiurge in Young Avengers reminds me of Laura changing into Persephone in The Wicked + the Divine. When, if ever, does this start becoming a feature—not a bug of your work? Youth culture, pop culture, and coming-of-age are persistent themes in your work together. Do either of you worrying about getting too old to hit on those motifs? But seriously? I was already worried in 2008, when I was writing Singles Club. That’s the last time I considered I actually tried to write quasi-authentic (rather than stylised) teenagers. But in terms of writing young people generally, it’s a fascinating weird one. Most of Phonogram was about people hitting 30 and ageing out of it; being too old for it was expressly the theme from Rue Britannia onwards. 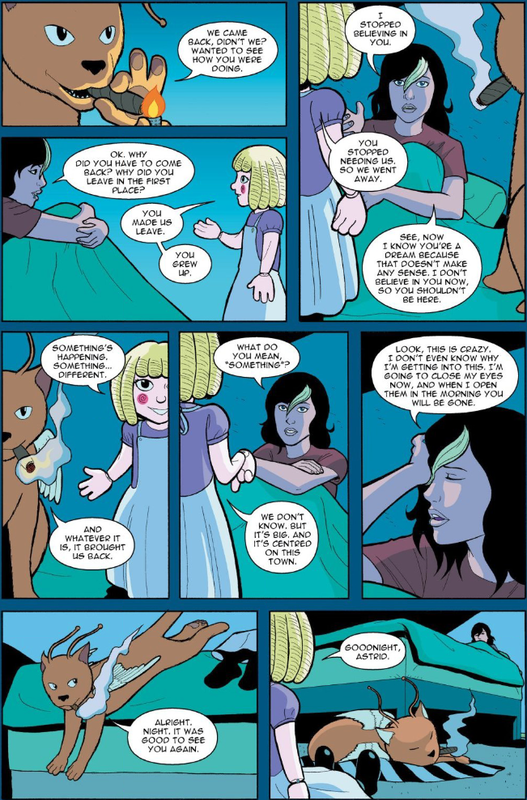 My own Journey Into Mystery starred a Kid Loki, which was Matt Fraction’s creative idea. When Jamie and I actually re-did Loki in Siege: Loki we went for Elric with black nail varnish. That led to us being asked to do Young Avengers, which I had to be talked into doing. While Young Avengers was Young Avengers, we figured if we were going to do a book of our own, we’d be fools to not build upon the audience we’d built with it. So our big five-year-statement mostly ends up having a teenage lead because of all that. Can you talk about what each of you bring to establish rhythm, tone, and structure to your work? Rhythm on the page, it depends. As Kieron mentions, he’ll often write specific grid structures. Like anything else, it’s a balancing game. Does this grid work with the content? If not, which happens occasionally, is the structure more important to keep than the content? Or vice versa? 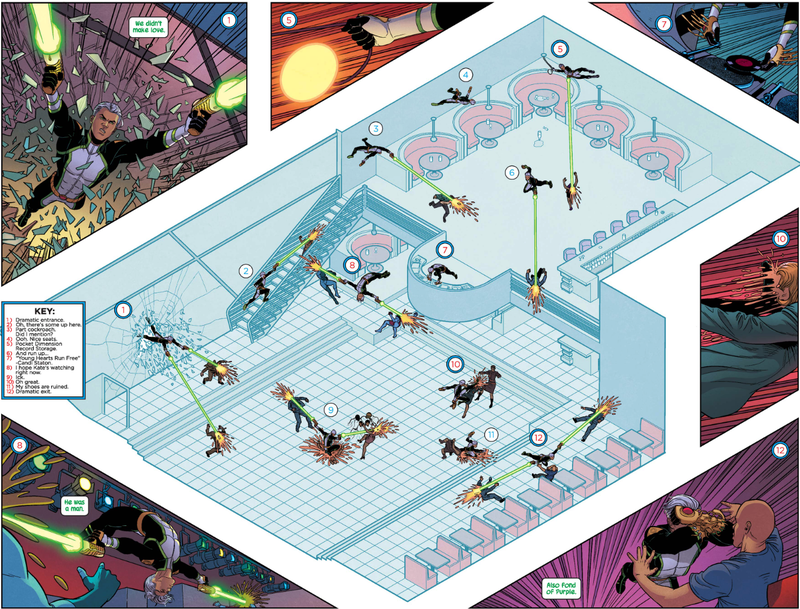 An issue like #8, with the beat of the music throughout, had to retain the panelling. A page in #40 had eight panels, but because of the layout and formalist stuff we were doing in the issue, it didn’t work, and I asked Kieron to rewrite it as six. What specific pages of your work together are you most proud of? That best represent your strengths as a team? 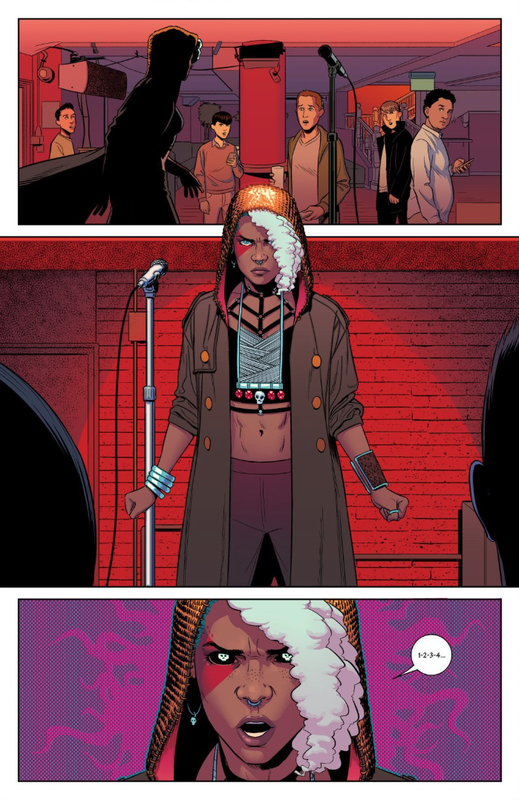 McKelvie: Oh, man. Often the quieter moments. Laura singing for the first time as Persephone. The end sequence of #39. And sure, the formalist stuff, the clever stuff, but the pages where we get closest to creating as if we’re one person, those are my favourites. When a glance is as powerful as an explosion. And of course, they wouldn’t work if [colourist] Matt [Wilson] didn’t perfectly colour them for the tone and effect we are going for. You guys have been very good about inviting other people to play in the WicDiv playground. How, if at all, has that invigorated the alchemy that you two create together? 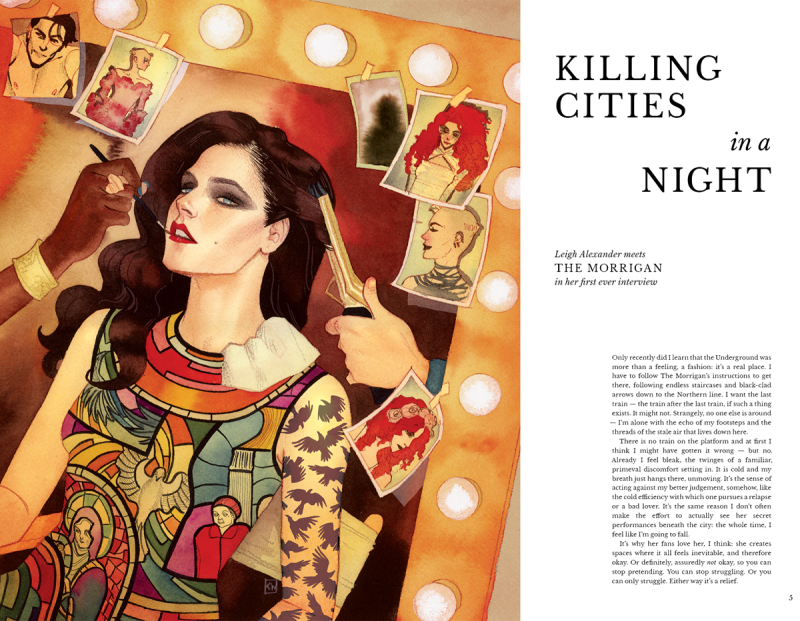 McKelvie: "...the pages where we get closest to creating as if we’re one person, those are my favourites. When a glance is as powerful as an explosion." Jamie, can Kieron still surprise you? And vice versa, for Kieron? What’s your favourite work that your partner’s done without you? Who do you want to see them create something with? I remember Kieron tweeting about finishing outline notes for the end of WicDiv, saying that the series could be finished if something horrible happened to him. Who would you want to step into his shoes, Jamie? And vice versa, Kieron? To replace Jamie? Oh, god. Jamie is someone who has the scale of a superhero artist when he needs to, married to an incredibly keen understanding of expressions, plus the formalist rigour to stick to something awkward when there’s a meaning there and not just do something that’s more satisfying in the moment. That’s a rare selection of skills.